The STEPB peripheral controls the step rate, direction, and target step count of a bipolar stepper motor. You can incrementally add counts to the target step count. 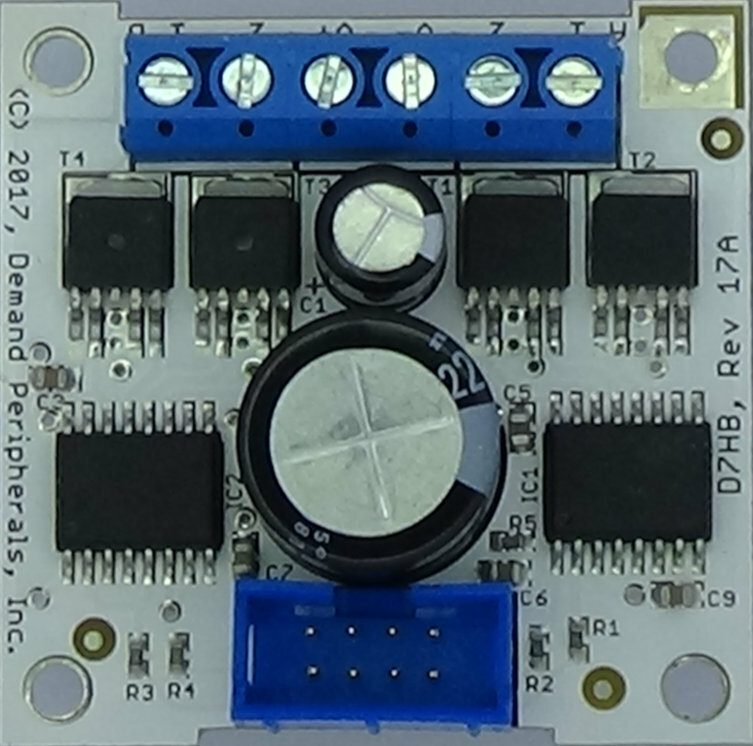 The bipolar stepper motor controller controls the on/off state and direction of two H-bridges connected to the two coils of a bipolar stepper motor. The STEPB peripheral is most often paired with the D7HB dual H-bridge card. More information about the D7HB card can be found here: cards/d7hb.html. Resources for the bipolar stepper motor controller let you control direction, step rate, and select either full or half steps.